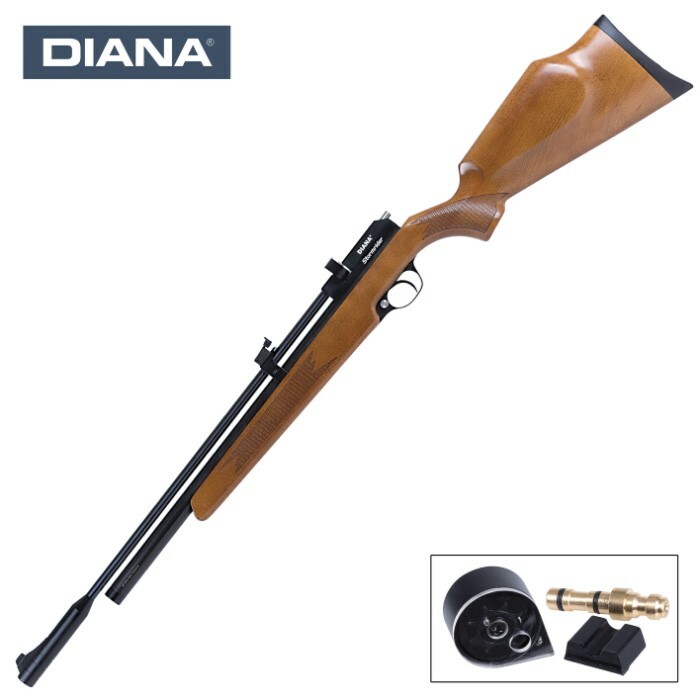 Diana Stormrider Multi-Shot .177 Caliber PCP Air Rifle - Checkered Beech Stock, Single-Stage Trigger, 9-Shot Rotary Magazine | BUDK.com - Knives & Swords At The Lowest Prices! Have you ever wanted a PCP airgun with great accuracy, a sturdy build, and repeating shots? Look no further than the Stormrider, Diana’s answer to budget friendly PCPs. This little tack-driver will provide hours of entertainment with its repeating shots and a cylinder that’s easily filled with a handpump, giving you approximately 30 to 40 shots per fill. 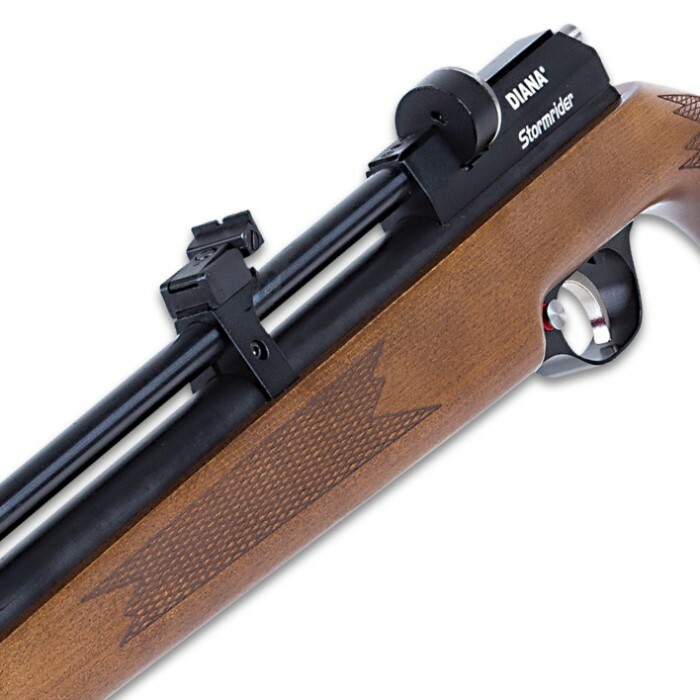 The bolt action PCP repeater has a checkered beech stock with a raised cheek piece for right-handed shooters (stock still usable for left-handed shooters) and an integrated manometer (pressure gauge). The single-stage, non-adjustable trigger breaks at 3 lbs and the air rifle has a manual safety. It also features a fully adjustable rear sight and an 11 mm dovetail. 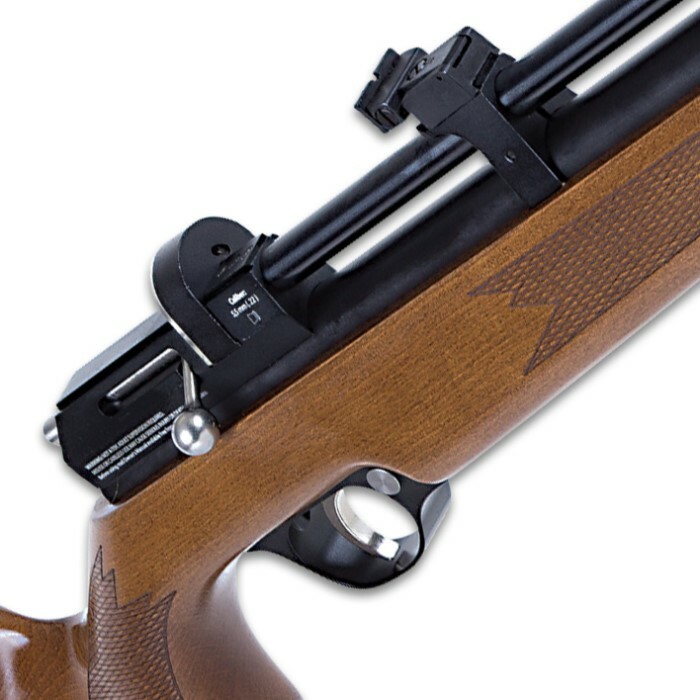 Included with the air rifle is a fill probe with male quick disconnect fitting, a 9-shot rotary magazine and a single-shot tray.